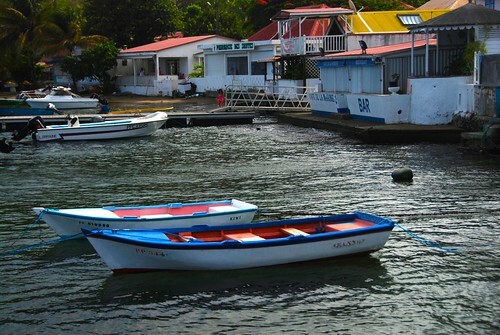 Restaurants, bars and fisherman's cottages. The main town on the main island of Les Saintes, just south of Guadeloupe. A warm and friendly place, I met many interesting characters.